Alstom will supply the Swedish railway operator with further high efficiency, recyclable Coradia Nordic Electric Multiple Units. French railway manufacturer Alstom will supply three more Coradia Nordic trains to Sweden’s railway company, Östgötatrafiken in addition to their current fleet of 15. The new trains will be delivered in spring 2019 and will be built in Alstom’s site in Salzgitter, Germany. The Coradia Nordic train for Östgötatrafiken consists of four cars, is 74 meters long in total and has a capacity of up to 510 passengers. It has a maximum speed of 160 km/h and is characterised by modularity, safety and performance. Conforming to good sustainability practice, more than 97% of the Coradia Nordic is recyclable. Alstom is currently delivering an addiditonal 30 trains to Skånetrafiken and these new units for Östgötatrafiken will be an addition to the output from that production line, notably regarding the car body shell assembly. ” I am very proud that our trains are to the full satisfaction of our customer and that Östgötatrafiken has now chosen to increase its fleet of Coradia Nordics, co-producing with Skänetrafiken ,” says Björn Asplund, Managing Director for Alstom in Sweden. 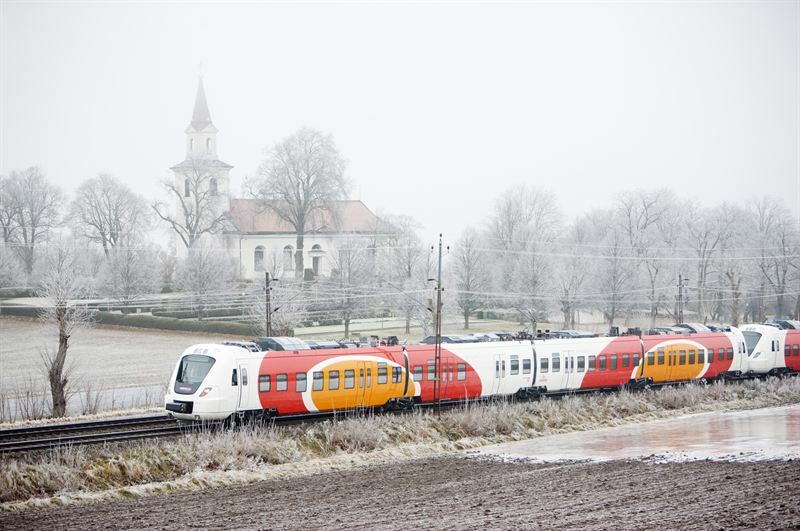 Since 2002, 280 regional Coradia Electric Multiple Unit (EMU) single deck trains have been sold in the Nordic region. In total, more than 3000 regional trains have been sold in Europe and they are currently running in Denmark, France, Germany, Italy, Luxembourg, Netherlands, Portugal, Spain, Sweden and the UK.